Updated September 14 - Don't forget to redeem this coupon on Friday! 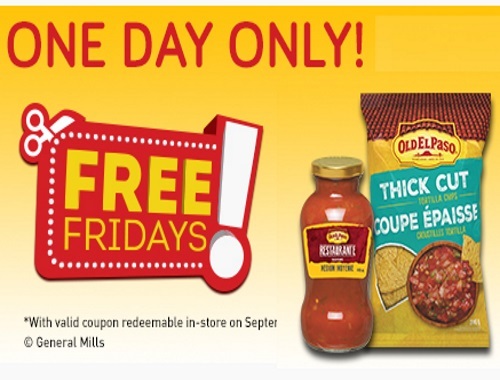 Originally posted August 14 - This is the last Free Friday coupon! Get a Free Old El Paso thick-cut chips when you buy any Old El Paso salsa jar. Coupon is valid on September 15, 2017 only. Get a second set of this coupon here.